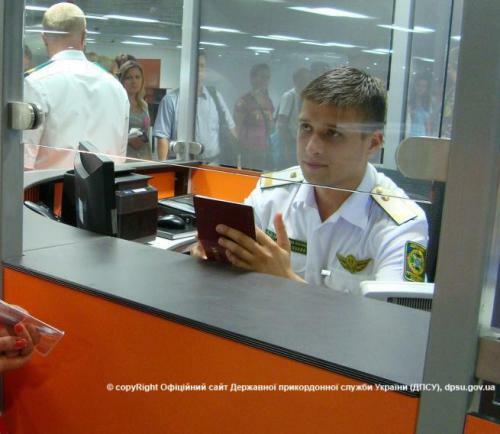 Border guards of Odesa Detachment detected the violator in the airport of Odesa, who intended to cross the state border of Ukraine illegally. While examining the documents, the inspector of Border Guard Service noticed that one of the passengers intending to fly to Istanbul presented the passport with re-glued photo. So far, the ma, according to his words the citizen of Tadzhikistan, was detained for 3 days to establish his personality. One more violator planning to get to Ukraine using forged passport was detected by the border guards of Mogyliv-Podilskyi Detachment in the check point “Bolgan”. First, the change of data page was noticed in the passport of the passenger of the regular bus “Tiraspol-Moscow”. Soon, receiving information it was established that passport used by the passenger was forged. The violator is detained till personality identification. The citizen of Ukraine failed to cross the Romanian state border with false passport. Border guards of Mostystkyi Detachment apprehended the violator in the check point “Shegeni”. By court’s decision, the man will have to pay the fine in the sum of 1700 UAH. Materials on detention were passed to Department of MOI of Ukraine in Lviv region. This entry was posted in Translated Media-News from Ukraine on April 21, 2015 by oksana.